They are so beautiful here! 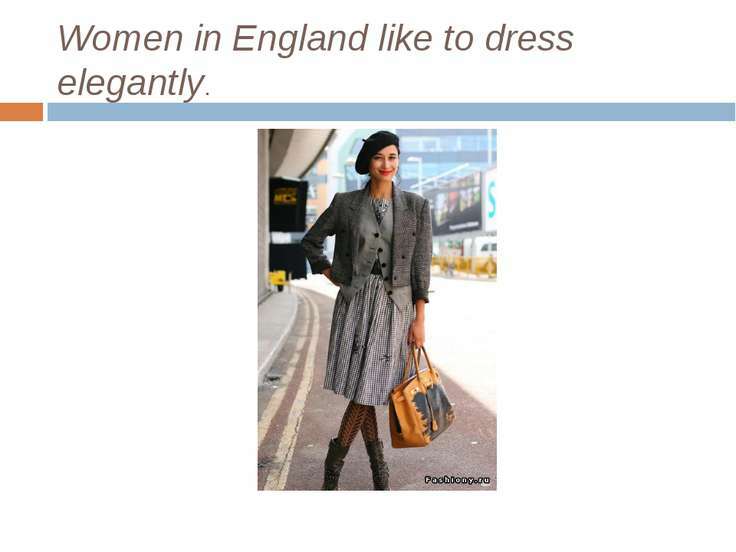 Women in England like to dress elegantly. Not many women dress so brightly than others. 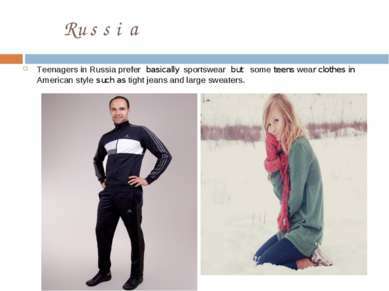 They consider that it does not suit a woman. 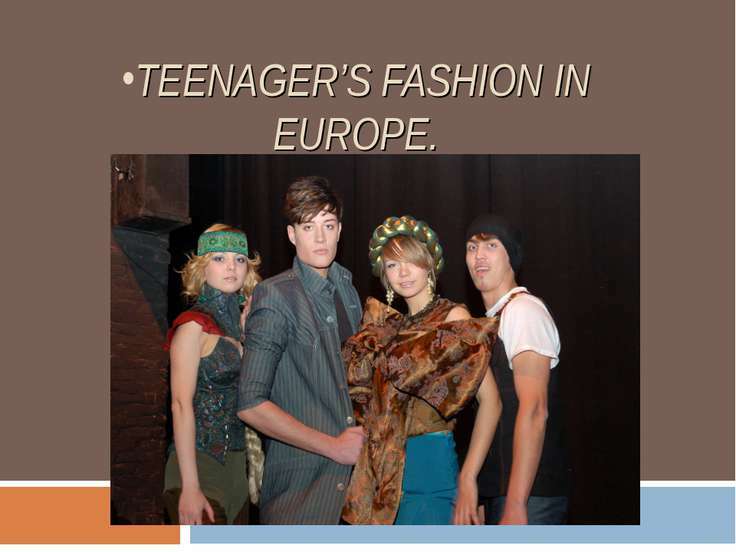 Frankly speaking, fashion for women much differs from fashion for teens. 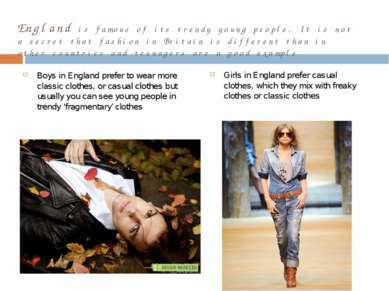 Russia Teenagers in Russia prefer basically sportswear but sоme teens wear clothes in American style such as tight jeans and large sweaters. 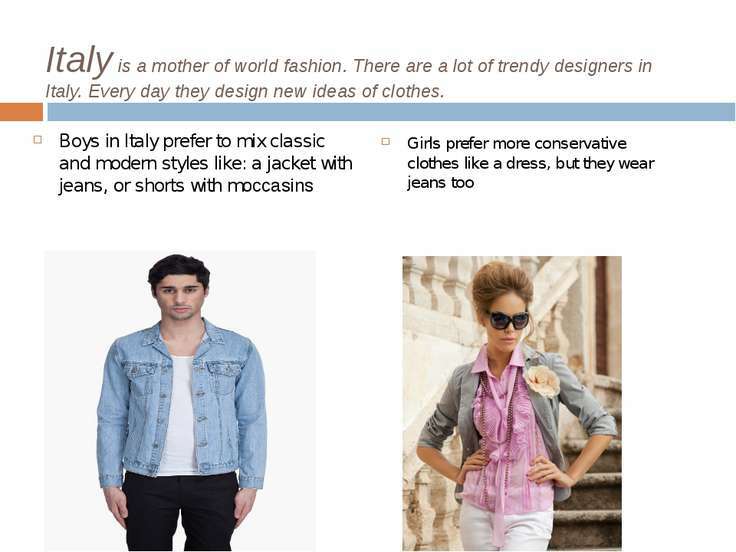 in conclusion… Fashion everywhere is different and in each country there is something special. Thanks for attention!